In a medium-sized pan add water, squash, spices, bouillon cubes, and onion; bring to a boil, reducing heat and cooking until onions are just soft. 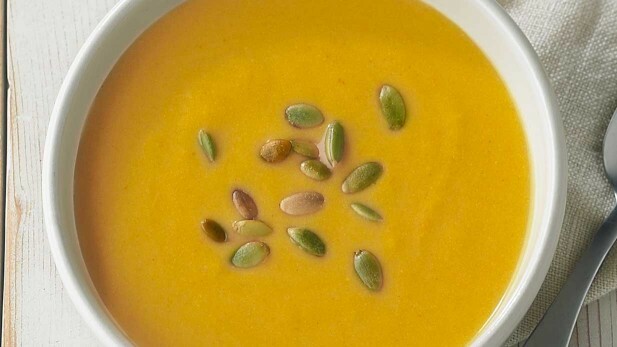 Add contents or partial contents to a blender or preferably Vita-Mix; add pine nuts and Pumpkinol; blend until creamy. Serve hot, drizzled with extra Pumpkinol and add some Austrian pumpkinseeds as a garnish for a little added crunch. This is a secret recipe, which is extremely delicious and nutritious: enjoy.